In 2014 I returned to Missouri from an ex-pat assignment in Germany, and our company relocation policy did not pay for vehicles to be transported before and after the assignment. Back in the USA, my family and I needed to start fresh with purchasing cars. Having been influenced by the German mindset in energy efficiency and sustainability, I wanted to purchase fuel-efficient and low-emitting vehicles. We needed at least two vehicles: a commuter car for me as well as a kid and grocery hauler for the rest of the family. 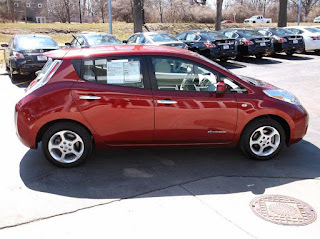 To make a long story short (but one I will elaborate on in later posts), I started with a 2012 Nissan LEAF electric vehicle and have since purchased or leased 3 electric vehicles and driven more than 80,000 electric miles. How do I charge at home and do I need special equipment? How much does my power bill go up? What happens if you want to take a road trip? What happens if run out of power? Aren't electric vehicles just driving on coal? I created an FAQ handout sheet for precisely those questions and more. I also assembled a small notebook with pictures of EVs, maps showing public chargers, home charger installations, etc. 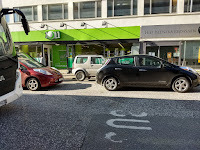 If you're an EV enthusiast already, perhaps the information in this blog will allow you to provide quick answers with a link. The response from my interactions has been amazing. I've helped "sell" quite a few Nissan LEAFs, Teslas, and I often get the follow-up question: "Do you work for Telsa/Nissan?" No, I don't. "Well, you should." Quite frankly, I believe the impact is greater if I have nothing to sell. 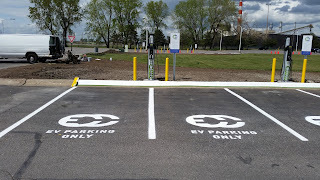 Although not alone in my role as an early adopter of EV technology, I get a charge (pun intended) out of showing and teaching others about the benefits of such technology. In addition to being on my company's Sustainability Council where I managed a project to install 12 new EV chargers, I'm a regular at car shows, EV events and National Drive Electric Week. I'm also a speaker on the subject at schools, STEM events and public utility meetings. Kansas City Power & Light was kind enough to interview me and establish a EV Driver Profile that summarizes my EV journey. 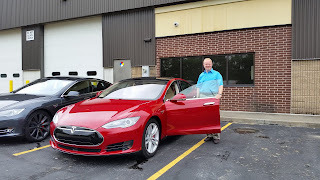 I also founded or moderated several Facebook groups such as Kansas City EV and Plug-In Vehicle Enthusiasts⬀, Kansas City Tesla Enthusiasts Club⬀, and more recently West Michigan EV and Plug-In Vehicle Enthusiasts⬀. I like to stress the word "enthusiasts" so that people interested in joining do not feel like they have to be owners already. Feel free to join the groups, lurk, ask questions, and come to events even if you don't already have a plug-in vehicle. Within those groups, I have also organized technical sessions and social events. As with any interest community, it's fun to not only share ideas online, but actually get together, go for a drive, share a meal, and look at the actual vehicles, upgrades and ideas. I'm looking forward to planning more such events. As stated earlier, I focused my repatriation commuter vehicle search on high-efficiency vehicles. I considered my choices among small-cylinder petrol engines, diesels, hybrids, plug-in hybrids and finally electric vehicles (more on the types in a future article). With some research, I found that the Nissan LEAF and Tesla Model S were the only commercially available battery electric vehicles (BEVs, i.e. no combustion engine at all) available outside of California at the time. But would it work for me or should I go back to a tried and true VW Passat or Jetta Sportwagen? Still, the simplicity of pure battery power appealed to me more than the complexity of a hybrid drivetrain. Ever the analytically-minded engineer, I considered my daily round-trip commuting distance of 20 miles plus possible evening activities. Even accounting for winter inefficiency and gradual battery degradation, the range of 80 or so miles was more than sufficient for my needs. As a trial run, a used 2012 Nissan LEAF became my daily commuter car. 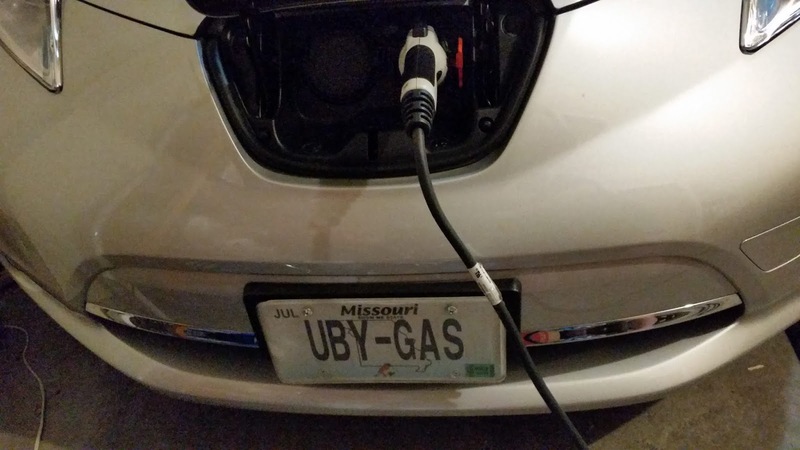 Although I had seen some local public EV chargers popping up, I initially had no idea that my new home town of Kansas City was in the midst of becoming the Midwest EV mecca. 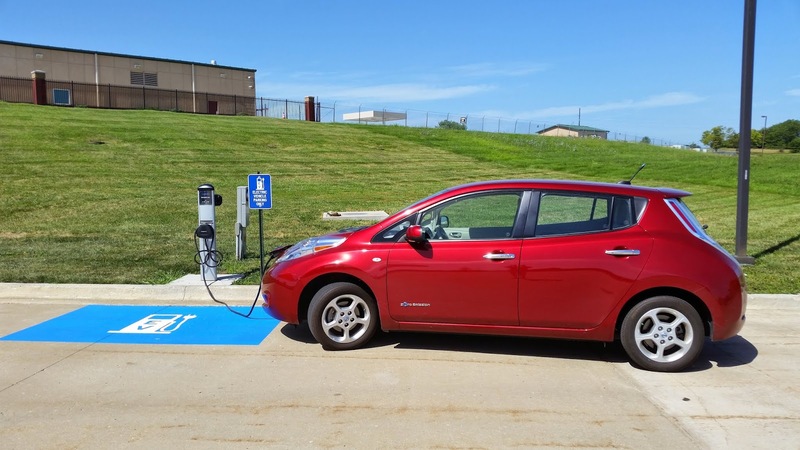 Kansas City Power & Light, the area's electric utility had committed to expanding their Clean Charge Network⬀ of public EV charging stations (see article link below). 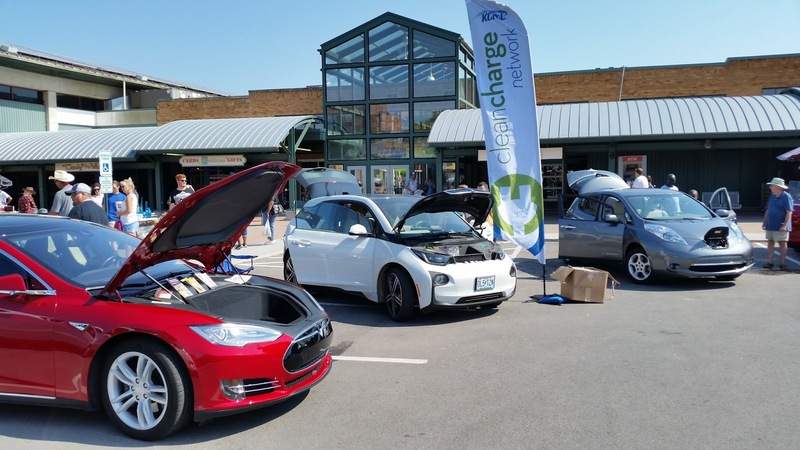 Having reached their goal of adding more than 1,000 charging points in the greater Kansas City area, KCP&L also began a campaign of public education and outreach that included electric bill inserts, social media posts, EV driver networking events and participation in National Drive Electric Week⬀. One year and 15,000 electric miles later, we went "all in" and added a 2015 Tesla Model S to the garage. 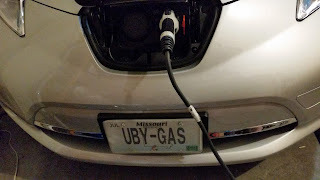 The almost immediate effect was that our gas-powered minivan hardly left the garage since driving electric is so much cheaper and more pleasant. With the experience of all those electric miles, 3 different EVs, 3 home chargers, home solar panels, hundreds of charging sessions, and several multi-thousand mile EV trips, the journey continues. More vehicles are coming on the market and charging infrastructure continues to improve. Nonetheless, there is much work to be done in educating the public and guiding decision-makers about charging. I recently moved to West Michigan where the public charger density is very low compared to the Kansas City metro area. In addition to EV education and outreach to drivers, I'm also continuing my advocacy and "EVangelism" to businesses and civic leaders to convince them that improving the public charger infrastructure is in their best interest for attracting EV drivers to the area. Yes, you can drive and charge EVs in cold weather. Electricity and charging basics - How long does it take to charge? Home charger selection and installation - Is my 120V garage outlet sufficient for my needs? Public charging - How do I take a road trip? Power sources - aren't electric vehicles just running on coal? 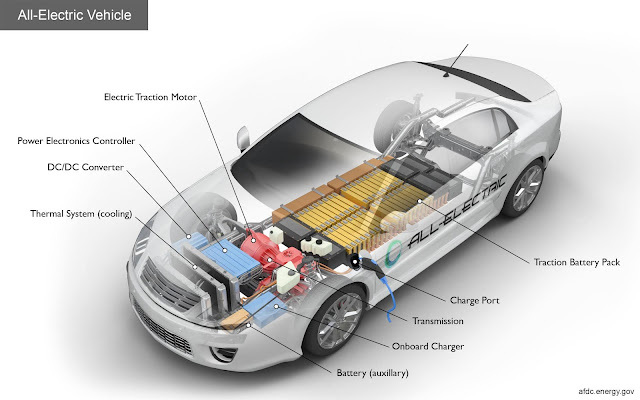 Where does lithium for EV batteries come from and what happens to old batteries? 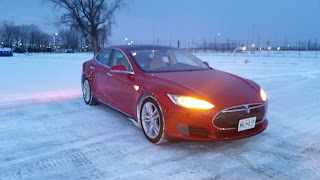 Weather considerations - How do I get heat in my EV and doesn't that affect range? If you would like to see other topics, please contact me.